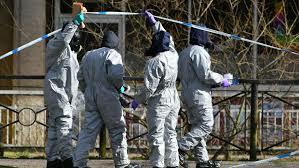 Spain will expel two Russian diplomats in response to a nerve agent attack in England that the British government has blamed on Moscow, its foreign ministry said in a statement on Monday. “From the beginning, the government of Spain has considered that the attack perpetrated in Salisbury through the use of a neurotoxic agent is a fact of extreme gravity that represents a serious threat to our collective security and international law,” the statement said. The Spanish government reiterated its solidarity with the United Kingdom and with all those affected.